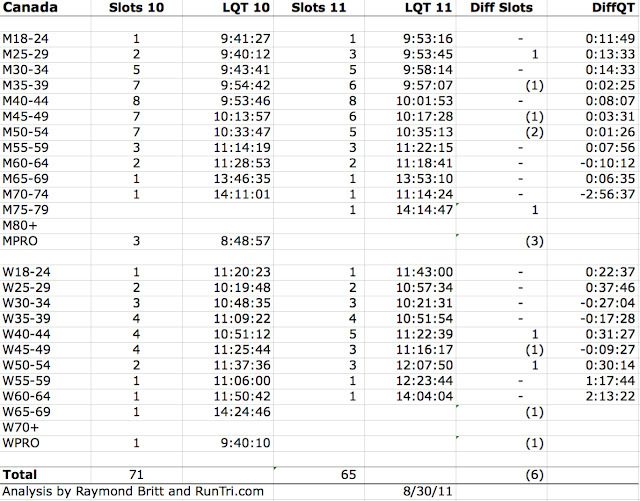 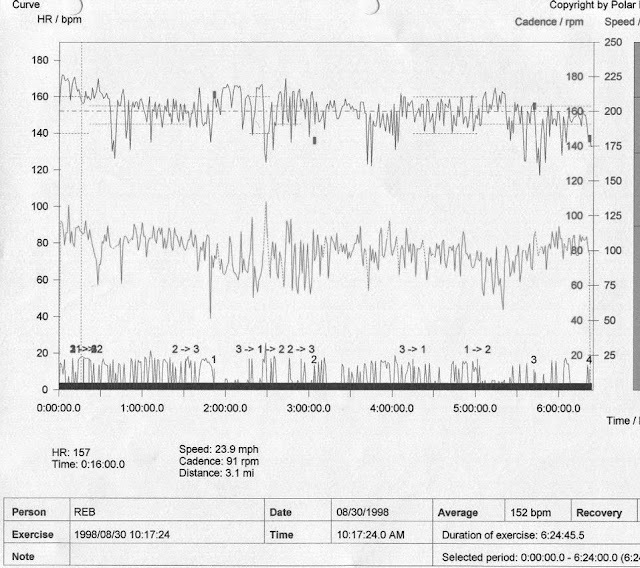 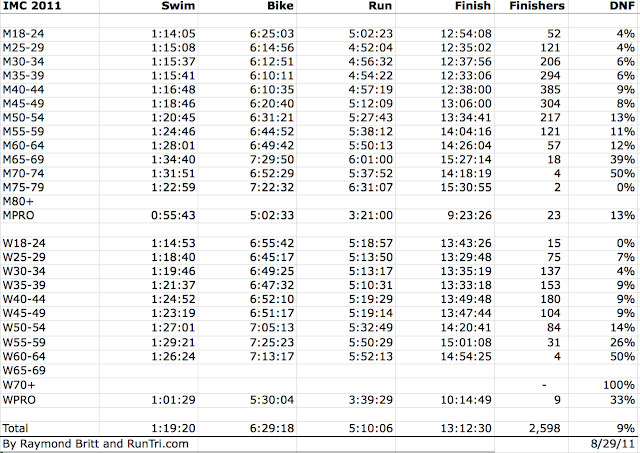 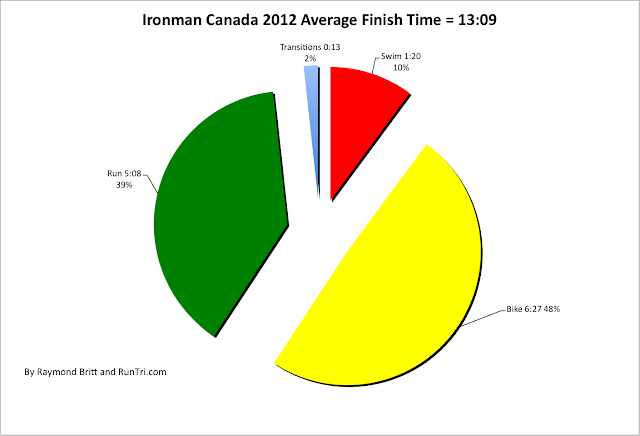 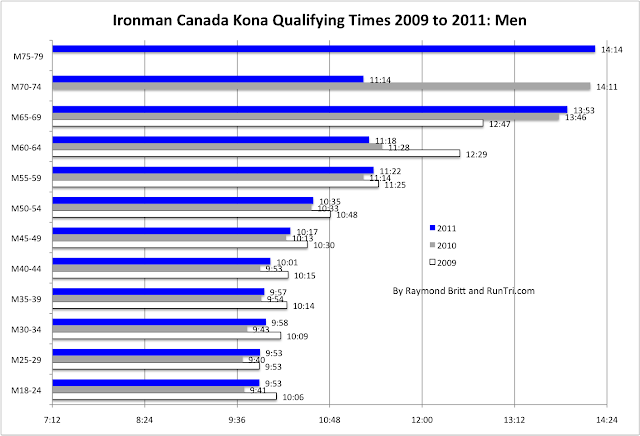 Ironman Canada 2012 really challenged the 2423 finishers (after 14% DNS and 6% DNF rates), especially on the marathon. 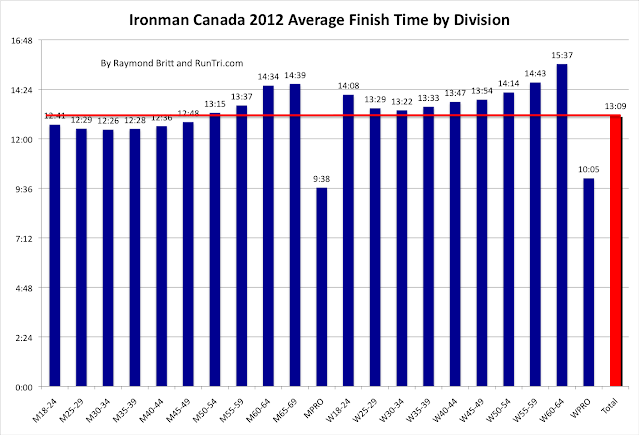 The average race finish time was 13:09, about 15 to 20 minutes slower than in the previous three years. 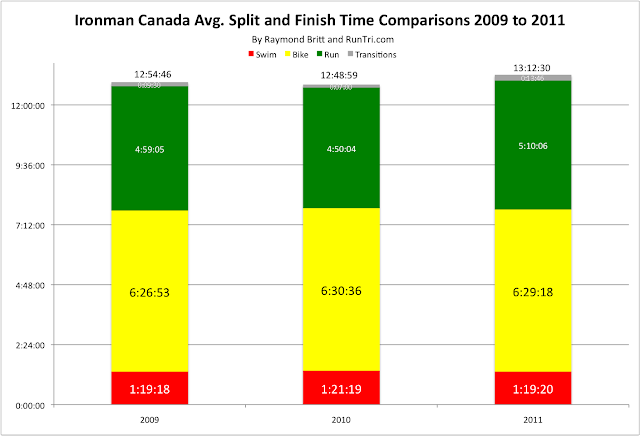 The main difference: the average marathon time was the slowest in years. 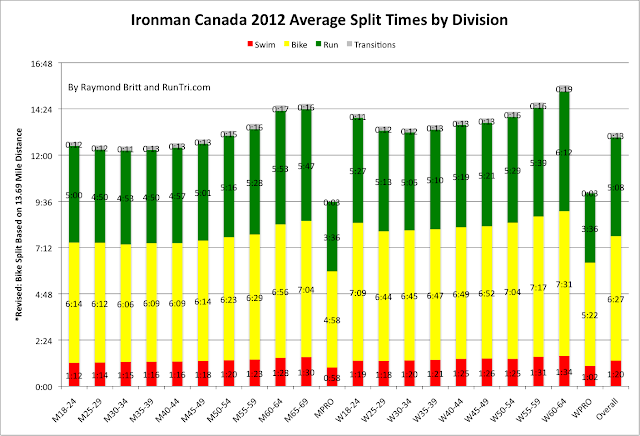 For more, including comparisons with previous years by age group and a correlation between bike and run split analysis, see our Complete Ironman Canada 2012 Results Analysis. 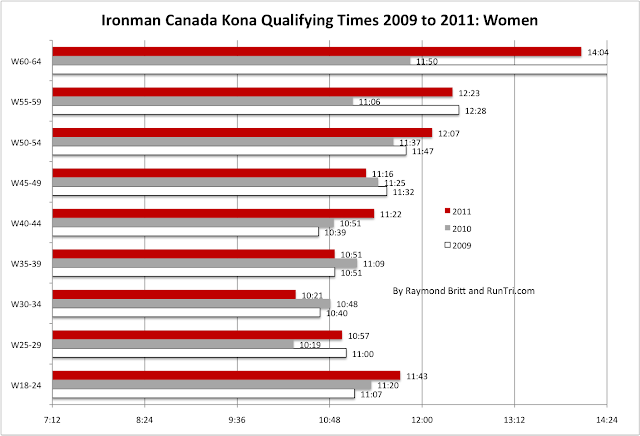 Ironman Canada 2012 marks the 30th running of one of the best and toughest ironman distance events in the world. 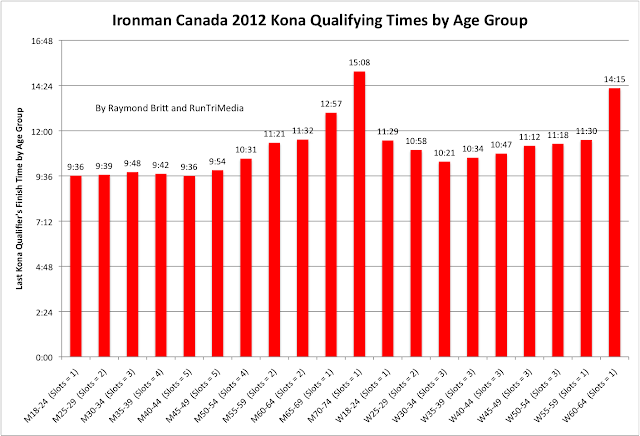 We chose to begin our ironman racing career in Penticton, and it was an outstanding experience from start to finish. 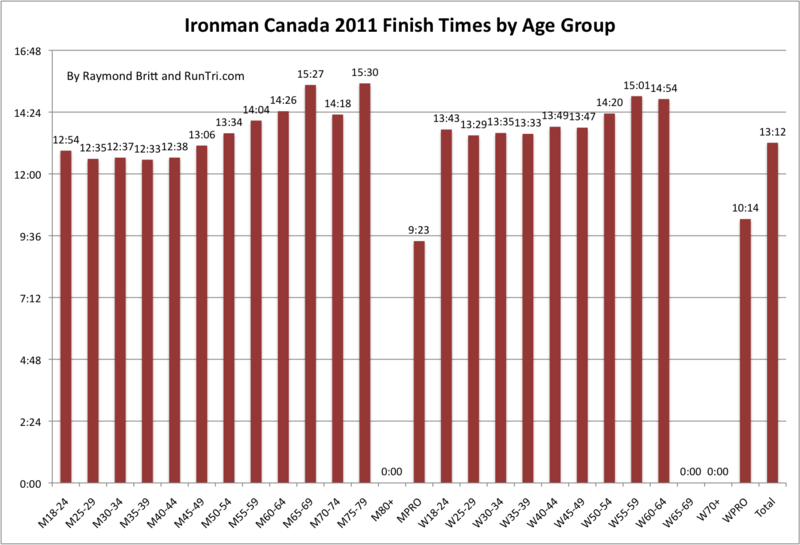 We went on to finish Ironman Canada three times, and out of the 29 Ironmans we've done, Canada remains one of our favorite races. 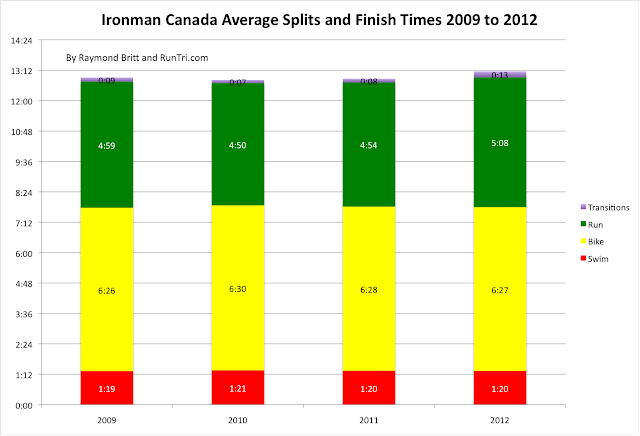 In recent years we've published detailed analysis of the race, results and more. 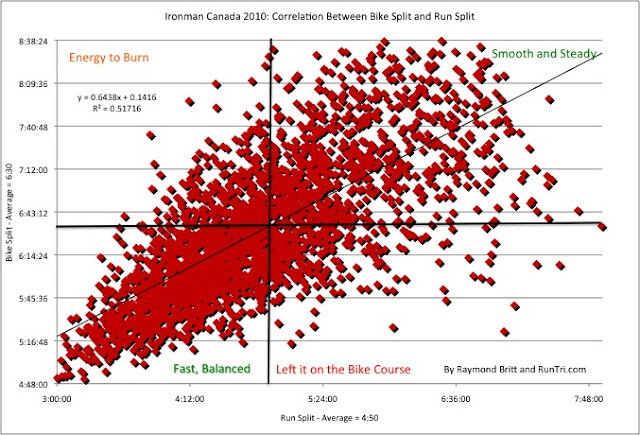 It's the kind of information we were looking for as we prepared for our first Ironman Canada, and we hope the analysis helps many of the 3000 Athletes Representing 875 Cities prepare for and have a great performance on race day.